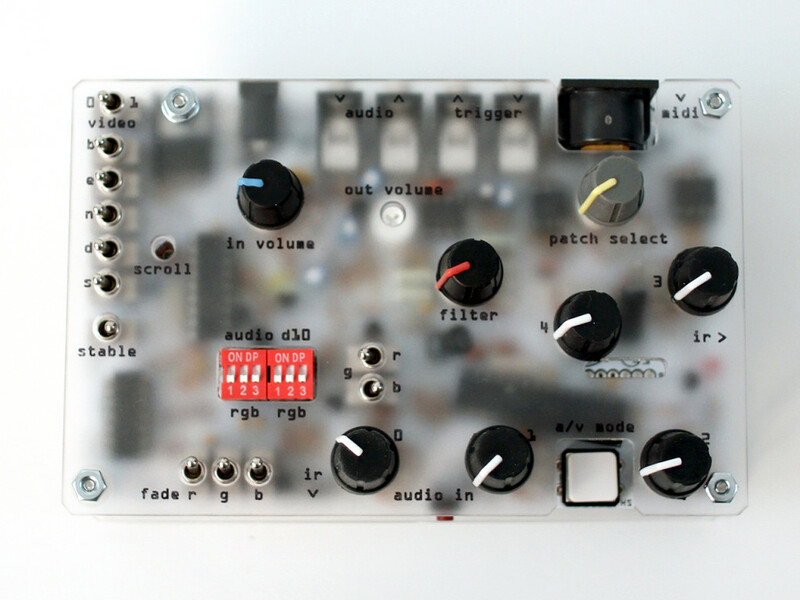 The Hard Soft Synth 3jb is the new audio / video synthesizer by noisemaker extraordinaire, Gieskes. It features 15 modes of audio/video excellence, each with 4-5 variables of control. There are also 8 video-only modes designed for use with the trigger and audio inputs. 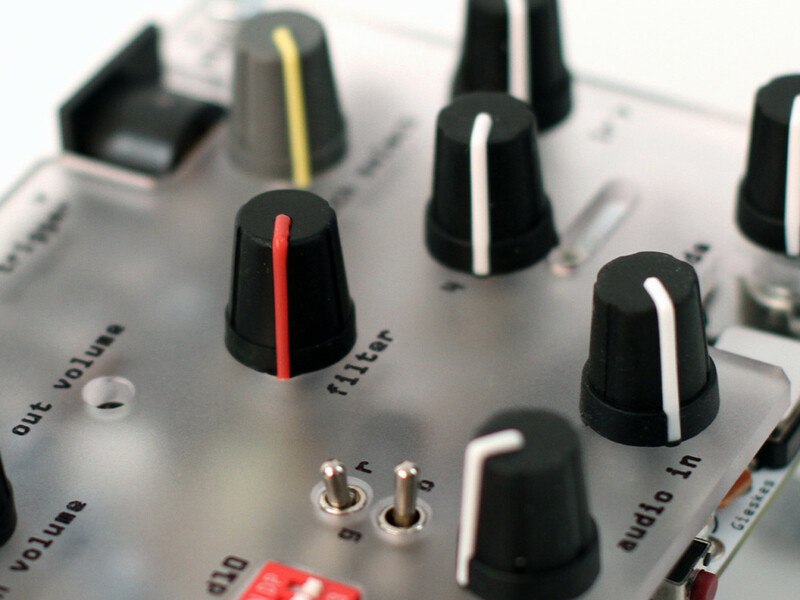 An adjustable analog filter keeps everything smooth (or as gnarly as you’d like). The HSS3jb can produce all the same audio and video as the HSS3i, but it adds many more color options and controls as well as a more stable and and colorful video output. 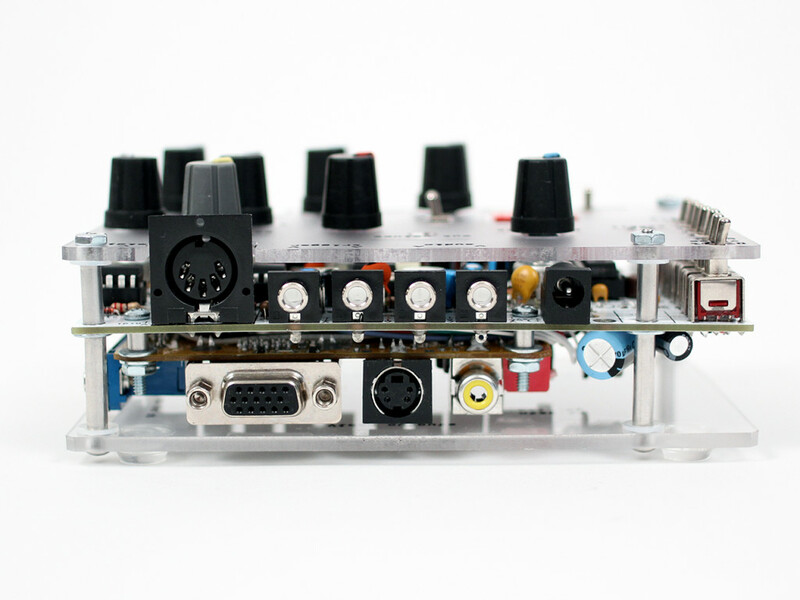 – 15 audio+video modes and 8 video-only modes. 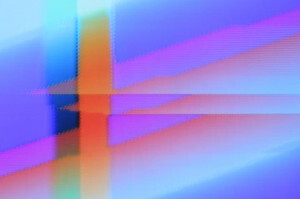 – RCA, S-video, and VGA video out. – Analog low-pass filter controlled via photocell. – MIDI input controls device parameters. 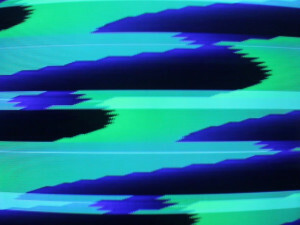 – Circuit bending, color switching, fade, and individual color controls for video. – New enclosure and more compact design (5.5″ x 3.5″ x 2.5″). Note that this is Gieskes’ version that lacks glitch switches and bends, but everything else is the same. Gieskes sells a version called the HSS3j. 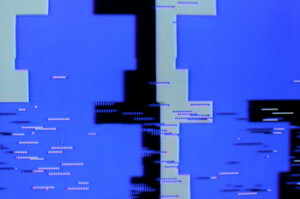 The HSSjb adds glitch switches, the “stable” mode which makes the output solid blocks of color rather than lines, as well as an enclosure. What does the midi input control? You can control some variables of the HSS3i over midi. See the user guide for the implementation chart. What does the audio input do? Is this thing an effect? Can I run my guitar through it? It’s not an effect but it does allow you to hook up an audio source to trigger off of. The audio input works best with rhythmic sources, but all kinds of sources can create interesting effects. The list of what the inputs do in different modes is in the user guide. Here’s Gieskes’ explanation of the input. Can the HSS3jb do everything the HSS3i could? Gieskes designed it. The HSS3jb includes code from TinyVGA. See here for more on the code.